You see a map that contains territory of Russia. 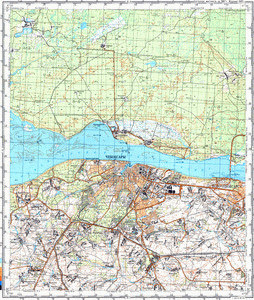 detailed map of Cheboksary calibrated free download. map of Novocheboksarsk и OziExplorer calibration presented. actual map of Kugesi free download. topographic map of Novyye Lapsary calibrated presented. topographic map of Ishley with gps calibration for you. free map of Zavodskoye calibrated for gps. topographic map of Yuksary free download. topographic map of Yaushi calibrated download for free. detailed map of Yangil'dino for gps. free map of Yadrinkasy и OziExplorer calibration for Garmin. interesting map of Vasil'kasy with gps calibration displayed. map of Tren'kasy with gps calibration for gps. map of Tolikovo presented. detailed map of Syatrakasy with gps calibration here. detailed map of Syatrakasy и OziExplorer calibration for gps. topographic map of Staraya Lipsha и OziExplorer calibration this. topographic map of Sosnovka free download.